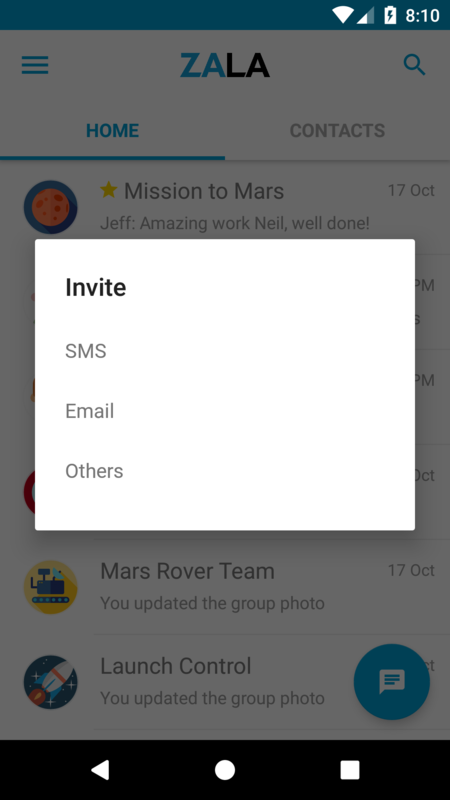 Tap on the Invite Friends option. 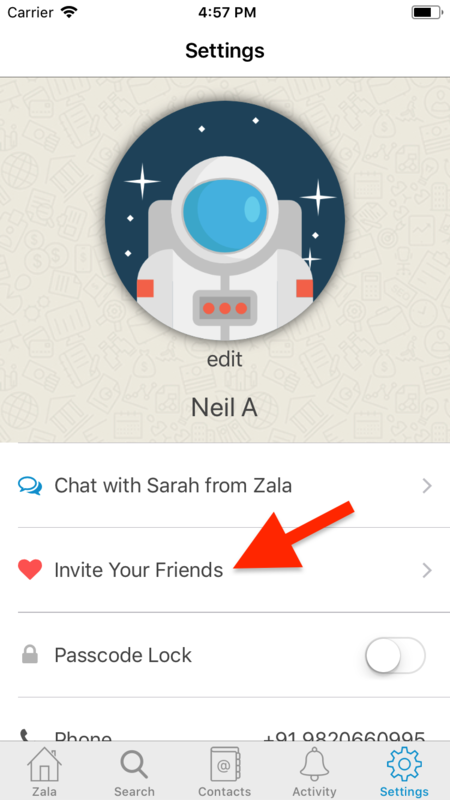 Choose how you would like to send them an Invite to proceed. 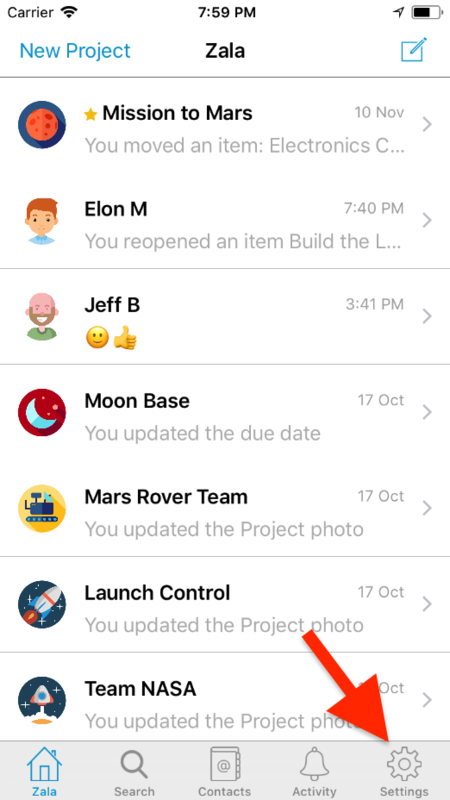 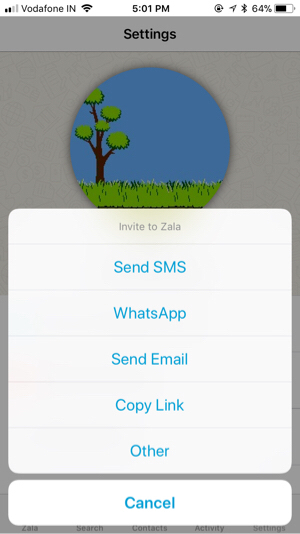 You may choose to send an 'Invite' to your friends via Whatsapp, SMS/Text messages, Email or any other communication app available on your device by proceeding to use the [Others] option. 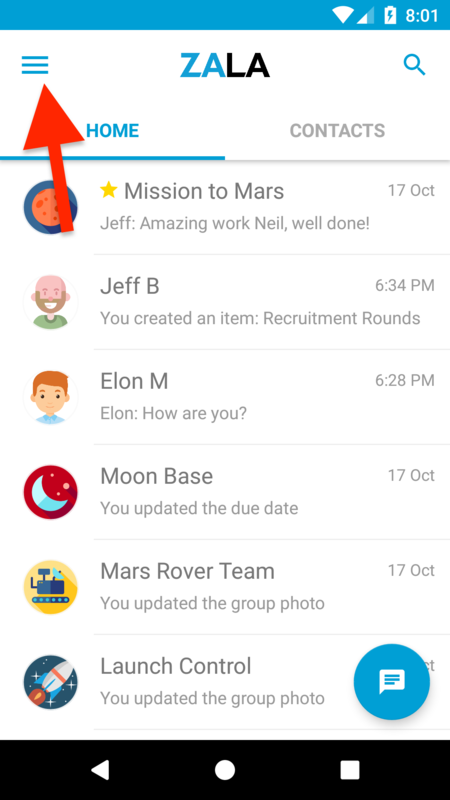 Tap on the Settings Icon at the bottom left section of the screen. 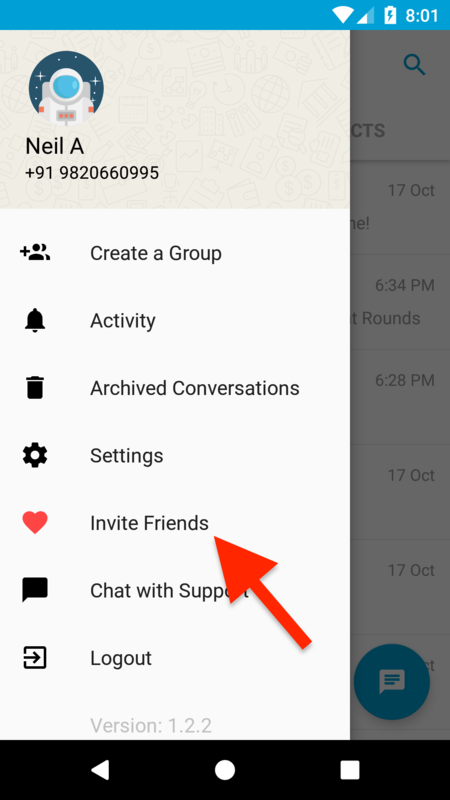 Tap on the 'Invite your Friend option. 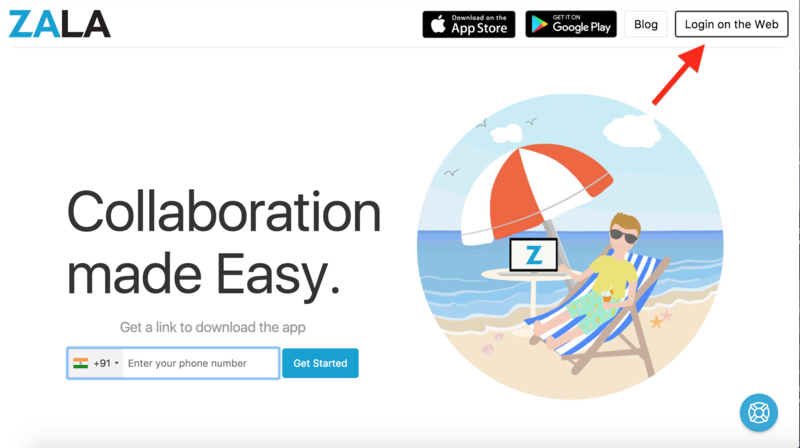 Click on the [Login on the Web] button on the top right section of the page. 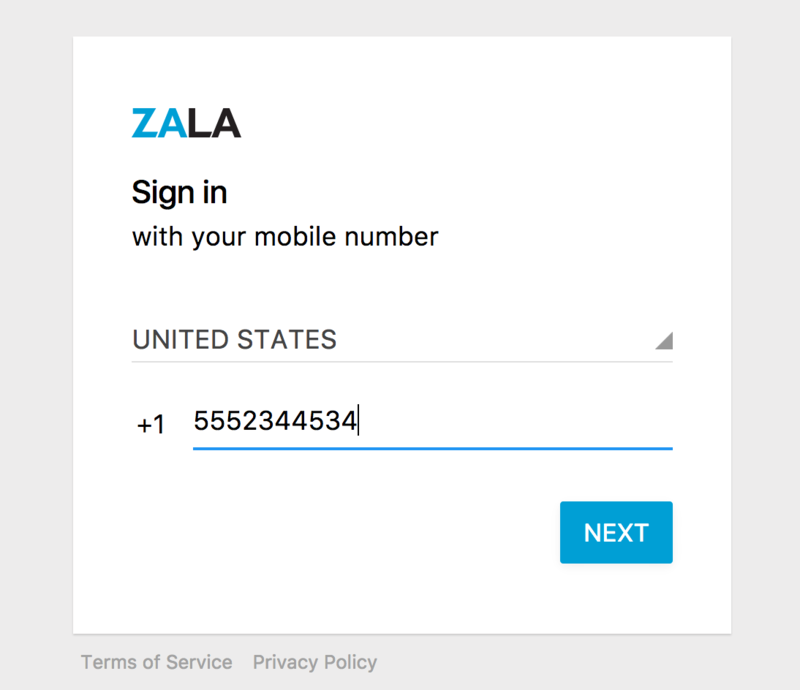 You will be taken to the Login page so you may start using Zala on your Desktop immediately.